Very nice materials. Easy to assemble. Makes my painting look like it could be in a fancy art museum! And the employees were very nice and helpful over the phone when I had questions about sizing and canvas clips. 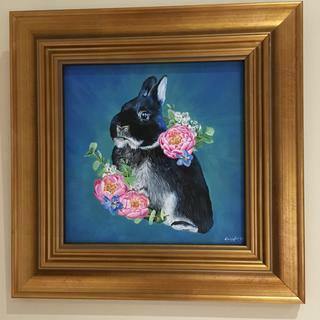 10x10 painting with the frame and canvas clips. No acrylic or backing. Bought two of these. Very good quality. 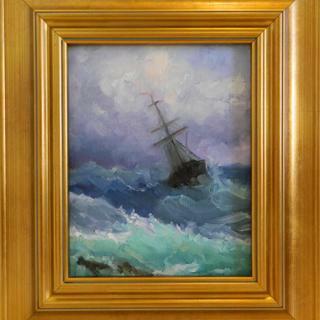 This frame is very formal-too formal for many casual prints, water colors etc, but perfect for a classic oil painting. Love it! Will order again! Thanks! 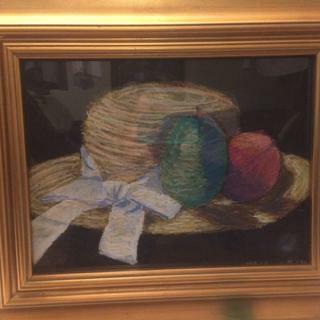 I found PictureFrames.com through the DoneGood app. I was searching for a company that cares about the environment and sustainability as well as quality and was pleasantly surprised that such a company existed. I used my DoneGood discount for my first purchase and I love this frame! Pictureframes.com is a great fit for my studio. I always find the perfect frame for my artwork. 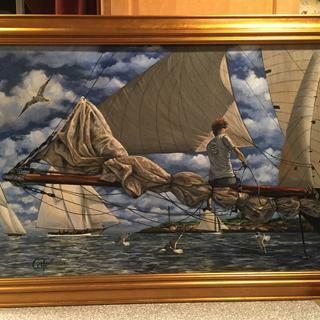 Gold frames are always the right choice for maritime art. The gold makes the blue in the sky pop! This is the first time I ordered a frame online. It fits perfectly and looks fantastic! I immediately hung it on the wall. Its looks even better on the wall! This is a lovely frame in every way. Quality, color, workmanship are all outstanding. Great value for the cost. Just what I was looking for! This was my first online experience with framing so a bit apprehensive. No need. All went smoothly and I’m delighted with the results! This was for a customer and they loved it. They will be back. Excellent quality. Looks beautiful. Easy to place picture in frame, just haven’t gotten around to hanging it yet. This sets off my painting very nicely. As it's a scene of water lilies in blue water, the gold tones in the frame set off the blue areas perfectly. The rosy tones in the gold go well with orange and pink areas in the subject too. These frames are beautiful and very high quality. Wish I had know about you long ago. this is a very nice frame a a very nice price. highly recommend this company. The gold frames were very nice and make a painting look so much better. I put them on my plein air paintings that I have done lately. I ordered the PLC7 Gold Leaf Frame for a small oil portrait and displayed it on my living room wall with several other paintings. My husband, who rarely notices when I redecorate, immediately commented on how sophisticated the arrangement looked. To quote him: "It looks like it belongs in the National Portrait Gallery." This is a nice profile that goes with almost everything. 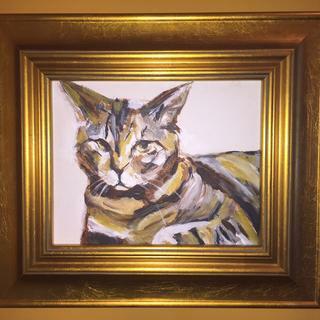 This classic gold frame is a great match for my calico cat painting. The colors are perfect! Very nice frame, much better than my expectations. Very easy to use canvas clips and hanger system. Highly recommend. Constructed with top notch materials and packaged as professionally as it was made with all hardware required for framing and hanging. Just what the painting needed. This is a very nice frame, for a reasonable price. Well constructed, and looks very good with the oil painting. High quality frame. Great replacement frame for any canvas. This frame was just perfect for my painting. The gold had an old world look to it - not brassy and a nice rich patina. I will use it again for my next painting! This is the frame I use most often for my paintings. it has a heft and enough detail to make a painting stand out. It's not ornate and so works with a variety of subjects. The frame is well made and I think it makes my art look professionally framed. And it is good value for the money. I was skeptical about ordering frames on line but was really happy with the quality and fit of the frames I received. One frame was slightly damaged but with one phone call I had a replacement on the way. Will definitely order again in the future. Good value for the money....shipping prompt ...good packaging.....overall worth avoiding effort of making own frames. Would also like to old world style frames...elaborate etc. 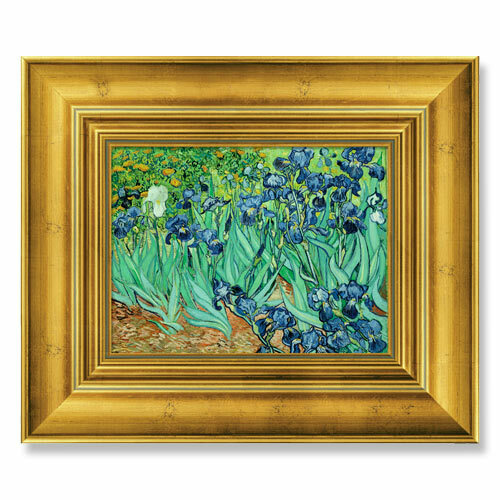 This frame is very nice and a beautiful warmer gold tone. My only issue with it is the gold can peel off very easily if you are not very, very careful with it. When framing make sure you are on an extra soft surface. One of my frames had several areas where the gold peeled back a little and I had to touch up with some gold paint. Beautiful made frame and a good value, however the gold-leaf was a little too copper colored for my taste. Hello RJ. Thank you for letting us know about the issue you experienced with the order. We sincerely apologize the frame arrived with a chip. 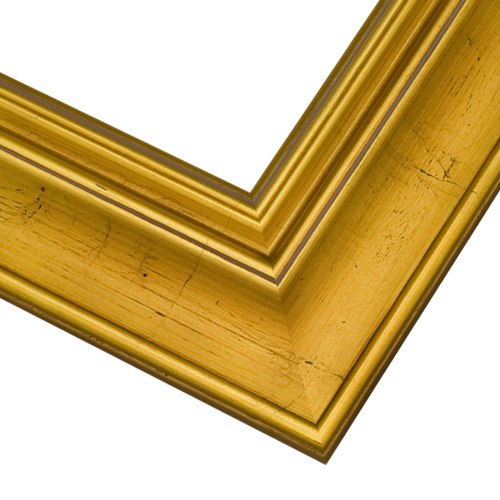 We ask that our customers email us photos of the frame so that we may replace the frame free of charge. As a way to make amends with you, we are adding a company credit to your accout for half the value of the PLC7 frame. If you have any further questions, please call me directly at 1-800-332-8884. We apologize for any inconvenience. Have a great day! Frame is nice quality however the gold color is nothing like the images and requires refinishing. Perhaps finish samples are available. Hello John! Thank you for your feedback. We regret that the gold color was not what you were expecting. We do our very best to offer a true depiction of the frame in our photography. We offer free samples of our frames on the website. These samples are available so that you may see the frame up close before making a purchase. After clicking on the frame to see the details, look below the image and click the box for a free sample. You can take advantage of as many samples as you need. Every ten free samples has a shipping and handling fee of $5.00. We are happy to give you a full refund if you would like to return the frame. Please give us a call at 1-800-332-8884 to being the return authorization process. We look forward to making this right with you. Happy Framing! The frame is beautiful, came as ordered and faster than initially expected. Very Good Job! I also like the environmental aspect of your business. The shade of gold complements the colors in painting. Lovely plein air frame in custom size. I was looking for gold frames for 3 paintings in different sizes. I could get the same style frame in different sizes with this one. Frame is compatible with the colors in the artwork. Medium size frame works with the size of the art. Elegant profile. I like the look of the frame. It was perfect for the picture. The REAL wood and GOLD LEAF can't be duplicated with plastic and paint. For a brightly colored seascape oil painting. I bought the silver leaf frame. The profile is beautiful. Color and style complements an acrylic canvas. Have ordered before. Loved it. I am framing an Italian piece painted for me by a friend and wanted the frame to match the the other Italian paintings I bought in Italy. I wanted two classic gold frames for two oil portraits. Exactly what I was looking for and at a good price, all without driving all over town. It's more formal for a more formal piece. Works with my 1850's Victorian Landscape. great choice for plein art. Previously ordered this frame for another painting and I was very happy with the quality. I would have preferred one of the more ornate (but still authentic looking) frames but they didn't offer the size I needed, so I decided to go with this one again. Felt it would be good match for oil painting that I just completed as a gift for my son. I'm hoping this color of gold frame will work well with my painting. Also, the FREE Shipping offer did it for me. I've purchased these frames in the past and an very pleased with them. I am hoping that this looks as good as I think it will on a portrait study I did of a Circuit court judge. Cost and is the style I wanted. I HAVE ONE JUST LIKE IT AND I LIKE IT. 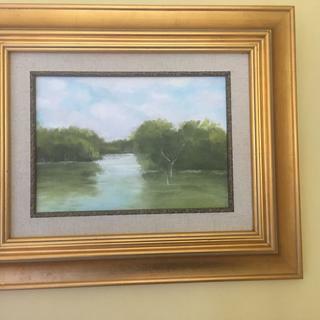 Gold frames look good on almost all landscape paintings that I do. I paint on canvas and need Plein Air frames. Elegantly simple frame which embellishes the artwork. I think it will go well with my painting. Some paintings are just fabulous in gaudy, bright gold! can I use this frame for a 12x16 canvas painting? BEST ANSWER: You can use this frame for a 12x16 canvas painting, however, you will need to ensure the depth of this frame can accommodate the depth of your canvas. Thank you! My granddaughter picture painting in it she has gold color hair, would that not clash? BEST ANSWER: Hello Christiane! The Gold Frame could bring out the gold hair in the painting very well. Please order a sample of the frame before making your purchase. Thank you for your inquiry! I have a 16x20 portrait mounted on 1/8th inch foam backing. Looking for a frame that will hold this and keep most of it exposed. I'm thinking I need to mounting it in a rabbet-type frame. Could you recommend? BEST ANSWER: Hello William. The rabbet/depth of the frame is 1/2" which will work with a Canvas Panel. We suggest this as a great frame choice. Thanks! A frame to hold 12 5x7s? BEST ANSWER: Hello! Thank you for reaching out to us! At this time, we do not have a frame with 12, 5"x7" openings. We do however have the ability to Customize a Mat for you. Please let us know if you would consider using a Mat to hold the photos inside the frame. We can be reached at 1-800-332-8884. Thanks! BEST ANSWER: Hello Shawn! The inside dimensions of the frame will adjust to fit the artwork and linen liner. The linen liner has a lip which holds the image inside. The lip of the linen liner is 3/8" which will NOT crop out more than 3/8" of the artwork. The opening in the linen liner is going to be suitable to fit your artwork. Thanks for your inquiry! BEST ANSWER: Hello Arlene! Thank you so much for your inquiry! This frame has an overlay which is made of Gold Leafing material. The elements the frame is exposed will determine the longevity of the finish. Where exactly are you hanging the frame? All of our frames are high quality and will certainly stand the test of time especially when cared for properly. I hope this gives you the insight you need. If you have any further questions, please let us know. We can be reached at 1-800-332-8884. Happy Framing! !